30 years of the most timely, comprehensive and accurate currency forecasting report in the world. The MOST TIMELY consensus currency forecast. The only consensus currency forecast updated 3 times a month. 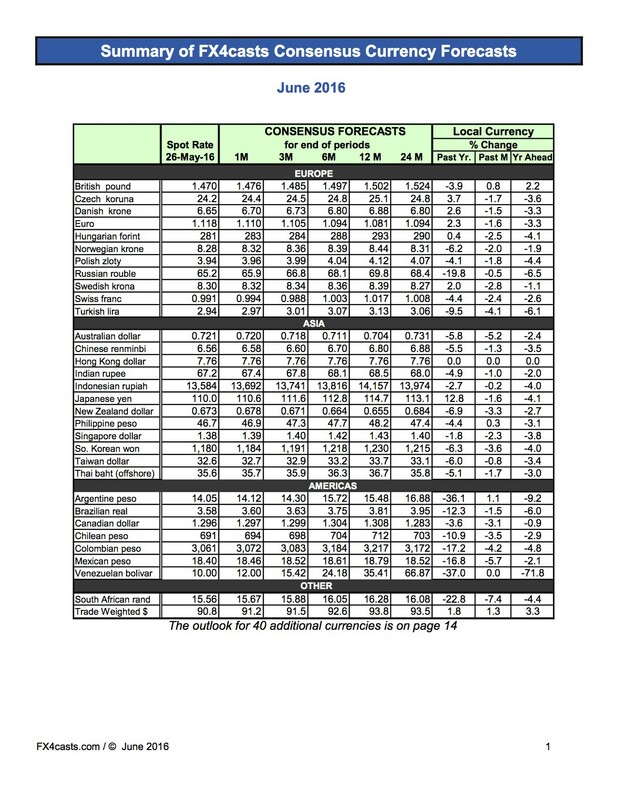 The only consensus forecasting report that is updated three times a month. 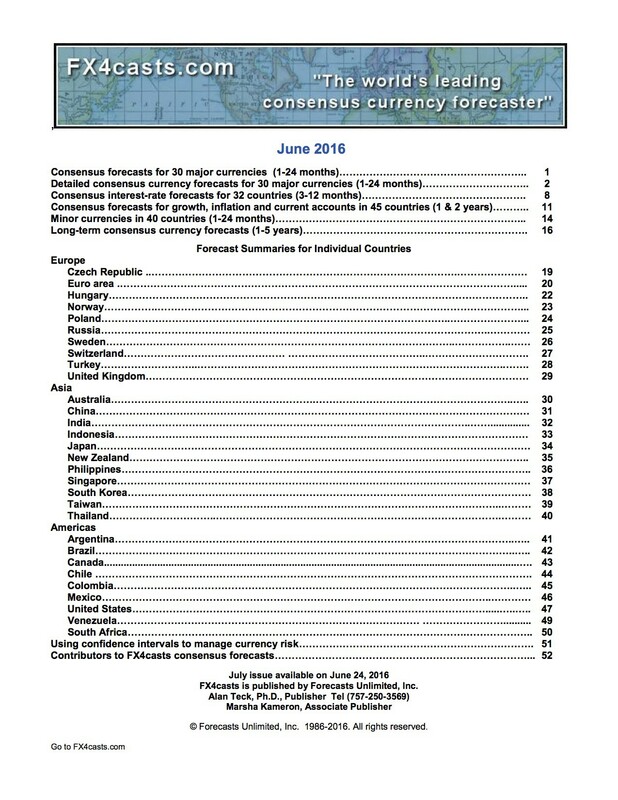 FX4casts consensus forecasts for 70 currencies have become industry benchmarks. 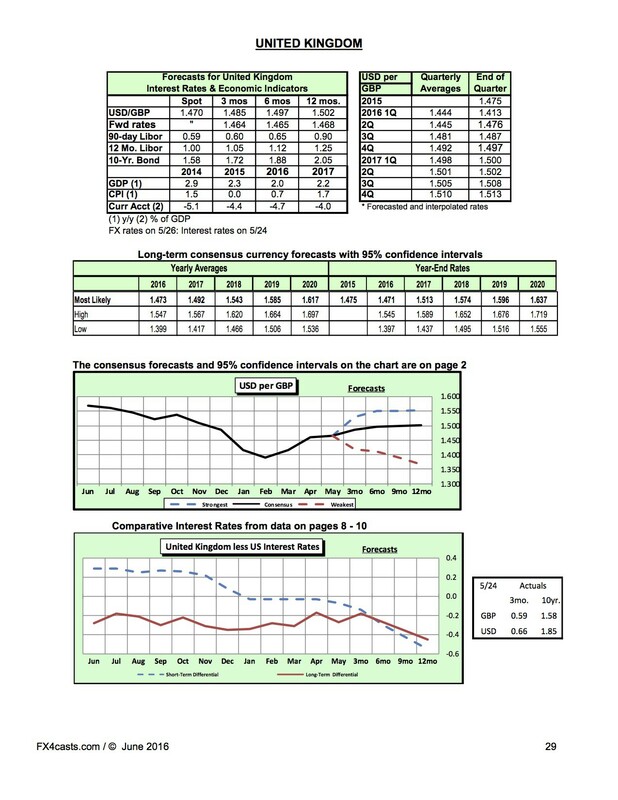 View sample pages of the oldest and most accurate currency forecast in the world. FX4casts is the oldest, most timely, and most comprehensive consensus forecasting report worldwide to help you make more prudent and profitable decisions for managing currency risk. 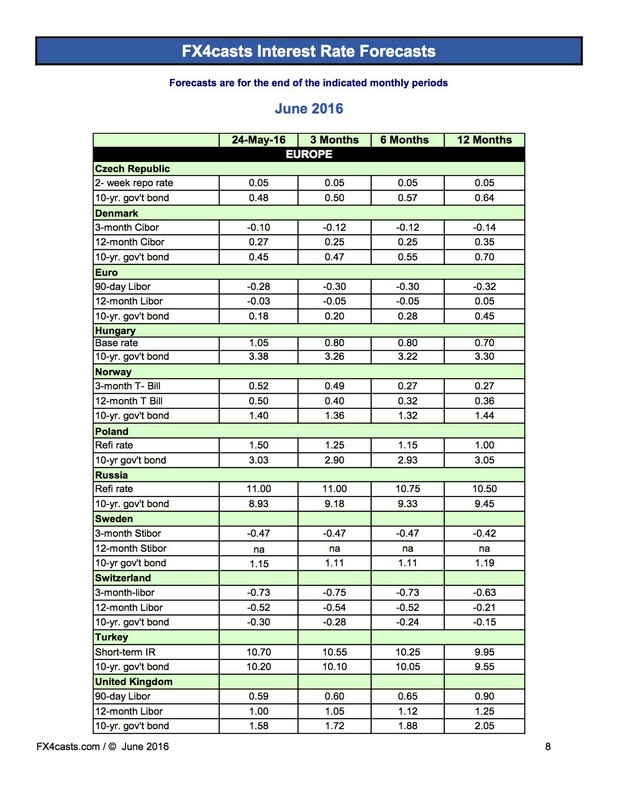 Consensus forecasts are updated 3 times a month making FX4casts more timely and pertinent when compared with publications that have only monthly forecasts that often have a short shelf life. FX4casts consensus forecasts use geometric means rather than arithmetic means. A geometric mean retains all of the forecasts and exponentially reduces the value of the extremes. Subscribers benefit as this is more representative of the group’s expectations than an arithmetic mean that could be greatly distorted by extreme outliers. Each monthly issue provides consensus forecasts in terms of the dollar, euro, yen, and, using Multibase™ that is sent with each monthly issue, financial officers can see any of the consensus forecasts in terms of 31 domestic currencies. Monthly issues and intra-month updates are provided in both PDF and Excel at no extra cost. Up to five people in any subscribing organization can receive the publications by email at any location. 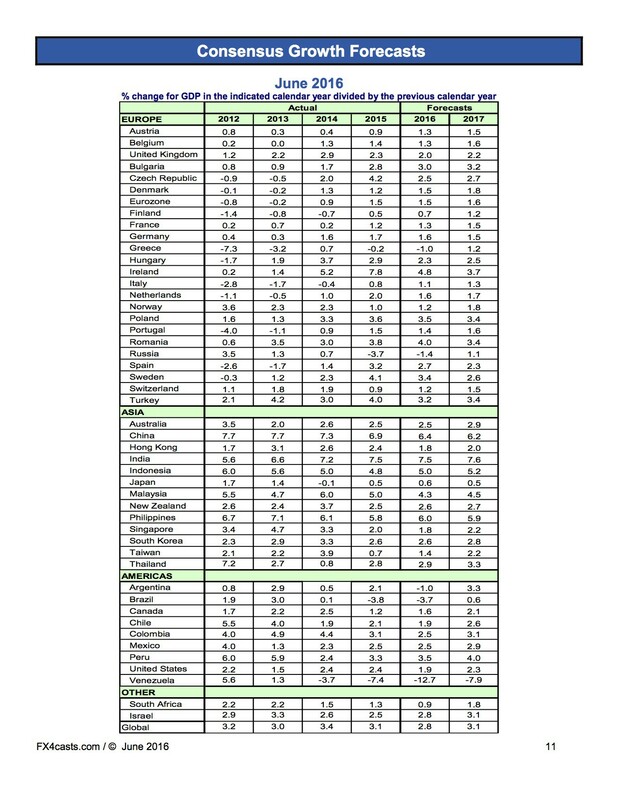 All forecasts are on tables that allow cross-country comparisons and on a separate summary pages for each country. 95% confidence intervals for 31 major currencies allow financial officers to relate the risk associated with the consensus forecasts to the risks tolerance of individual users.